A lot of people are getting error x803f7000 while downloading apps from the Windows 10 store. The actual error goes like: “Try that again. Something went wrong. The error code is x803f7000 in case you need it“. This error is popping up quite occasionally for those users who have upgraded from Windows 7 and 8. Store Cache and data inconsistencies. Incorrect system date and time. So, basically, unless there is a problem from Microsoft’s side as listed in the first point, we actually can get rid of the error x803f7000 from the Windows store. Another culprit is Windows licencing error which just means that the version of Windows you are using on your PC is not activated. But that is beyond the scope of this post. Press Win + R key. Wait for a few seconds until the command windows pops up. The Windows Store will automatically open up with all the default settings applied. Now try to download any app from the store to check whether the downloads are working or not. If not, then continue with the steps mentioned below. Press Windows key to open the start menu. 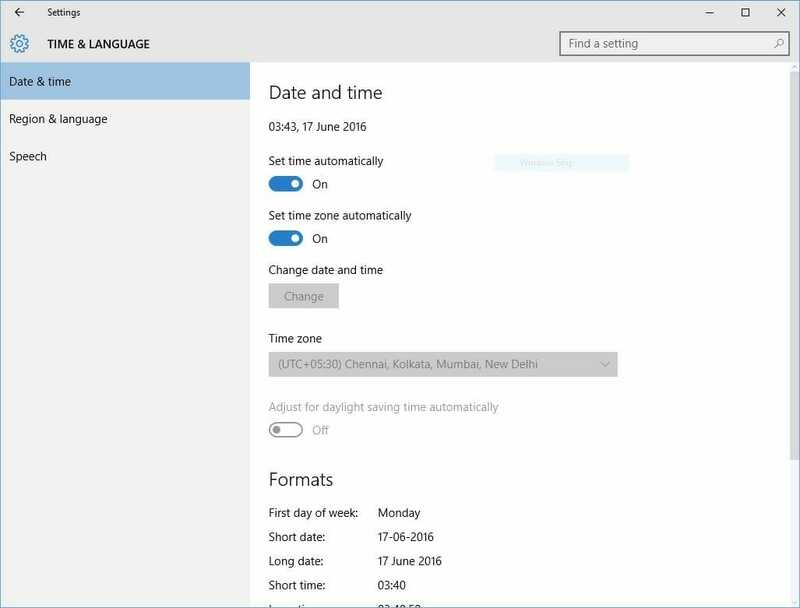 Select “Change the date and time“. Press enter. Enable “Set time zone automatically“. Right click on the bottom left corner of your screen and select Command Prompt (Admin). Confirm the UAC dialogue prompt. In the command prompt, type “DISM.exe /Online /Cleanup-image /Scanhealth“. Press enter. After that, type “DISM.exe /Online /Cleanup-image /Restorehealth“. Press enter. Lastly type “sfc /scannow”. Press enter. Close everything and then restart your PC. After following these steps, the Windows store should start working just about as it should. In case if anything stops working, please make sure to redo all the steps from the beginning. If this worked for you, please let us know in the comments section. If not, then let us know more about how we can help you out.